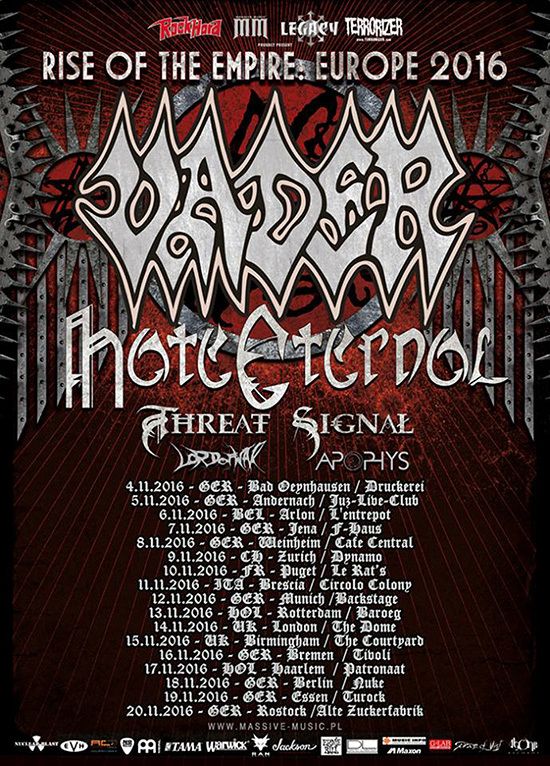 This November, Dutch death metallers Apophys will join Vader and Hate Eternal on their co-headlining European run! The trek also features Threat Signal and Lord Of War as support, making this one tour not to be missed! See below for tour dates!